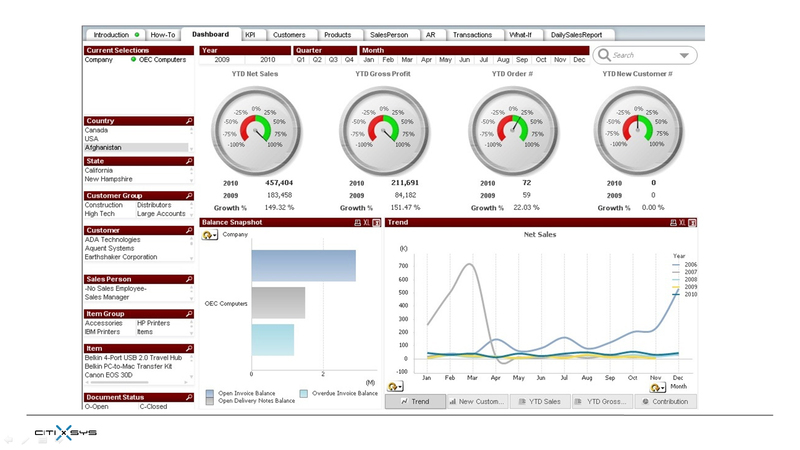 iView is a set of pre-packaged shrink wrapped Business Intelligence dashboards specifically designed for SAP Business One users which facilitates effective decision making. iView runs on QlikView and utilizes in-memory data processing and associative search to deliver actionable view of customer’s data in the form of intuitive dashboards. The application is designed to utilize gathered data more effectively and transform it into beneficial information that can increase company’s competitiveness and visibility in a market. iView comprises of 3 applications, Executive Application, Sales Application and Purchase Application. These applications have over 85 different views spread over 25 dashboard categories – all giving different perspectives to the data in SAP Business One. SAP Business One customers can benefit by using Sales, Inventory and Executive BI applications whereas Customers using iVend Retail can use iVend Analytics which extracts data from iVend Retail. Users of SAP All-in-One, ECC 6.0 or any other ERP software can have their custom Business Intelligence dashboards made as per their requirement apart from using standard Retail BI Application on iView. 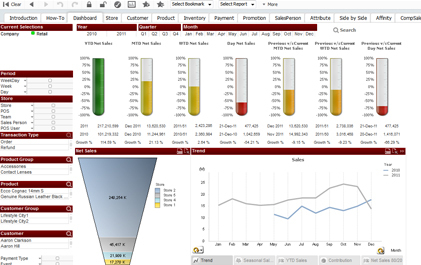 CitiXsys is a global OEM partner of QlikView and assist customers in custom applications based on their needs. With Business Intelligence software you can obtain an unambiguous view on corporate data and perform data analysis, helping your company uncover relationships and patterns present in data collected so far. Business Intelligence is a process that works for any size company to support data-based managing, and fact-based decision making for successful performance on a crowded marketplace. 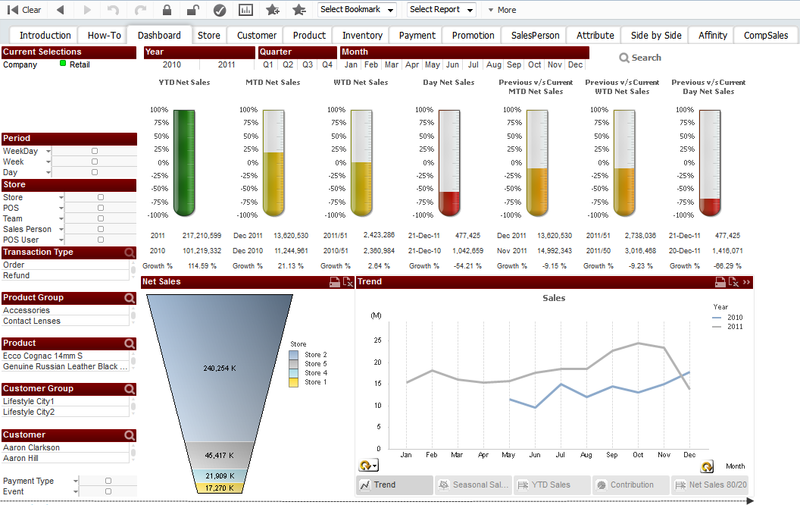 iView – Business Intelligence for SAP Business One from CitiXsys Technologies utilizes cutting edge technology and offers intuitive dashboards across business functions of SAP Business One. iView converts data into meaningful and actionable information. 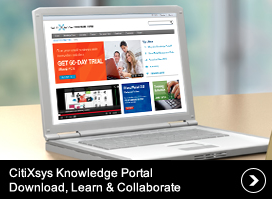 It makes a business more competitive by enabling informed decision making well in time. 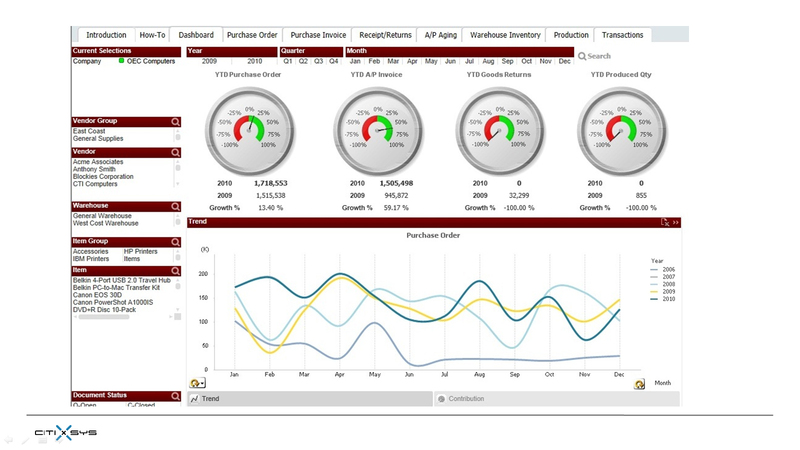 The application focuses on Sales and Gross Profit as the primary measures of performance, analyzed by year-to-date and period trend.The multi-dimension analysis spans over: customer, product, and salesperson. KPI are measured over last twelve months, along with Pareto and rolling month’s analysis. Overdue accounts receivable aging and what-if by price, cost and quantity completes the analytics. The application’s primary focus is on financial status and KPIs for profitability, liquidity, etc. Cash flow by sources, profit and loss waterfall, and account heads periodic trend complete the financial analysis.KPIs scorecards and analysis from sales, purchase, inventory, warehouse and production functions provide a holistic overview of organization’s performance. 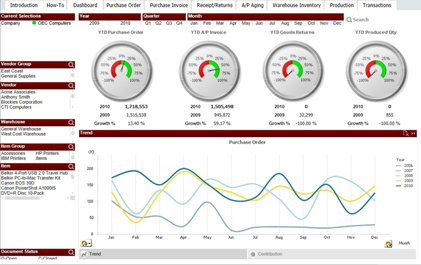 The application provides insight into purchasing activity, analyzing both orders and invoices.Apart from analysis by period, accounts payable aging and contribution by product / vendor; last purchase price by vendor for individual items, help identify the best vendor.In addition it carries on-hand inventory snapshot and historical production analysis. This iView application sources data from iVend – Retail HO database to provide insight into operations and help sculpt retail strategy.Performance trends by store, customer, product and other dimensions; are complemented with analysis on promotions, payments and product attributes. 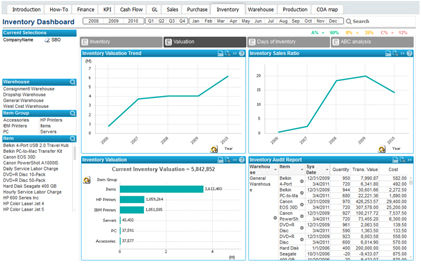 Exception reports for non-moving items, reorder level, inventory shrinkage identify blind spots. Affinity analysis indicates what sells with what, which along with attribute analysis will help fine tune shop floor tactics. These ready to use dashboards integrate seamlessly with SAP Business One and iVend Retail, dramatically reducing the effort required to start using them. 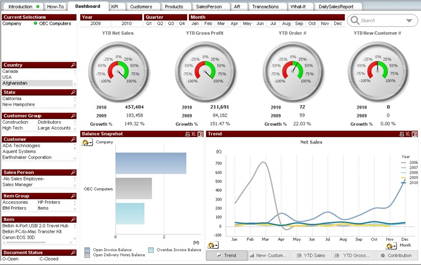 Needless to say that new dashboards can be made as per requirements from large customers. Reports and dashboards are published in a standard browser eg Internet Explorer or Firefox, over the internet or within an organization’s intranet using a zero foot print Ajax client. With associative search technology and in-memory processing, iView gives an experience similar to Google’s instant search. While associative search provides instant results as you type, its intuitive interface highlights important relationships within data. Associative search is extended into every list box across every dashboard, enabling users to search indirectly and quickly find detailed answers to critical questions. With database size of hundreds of gigabytes of data, IView gives Business Intelligence at a click of your mouse pad. 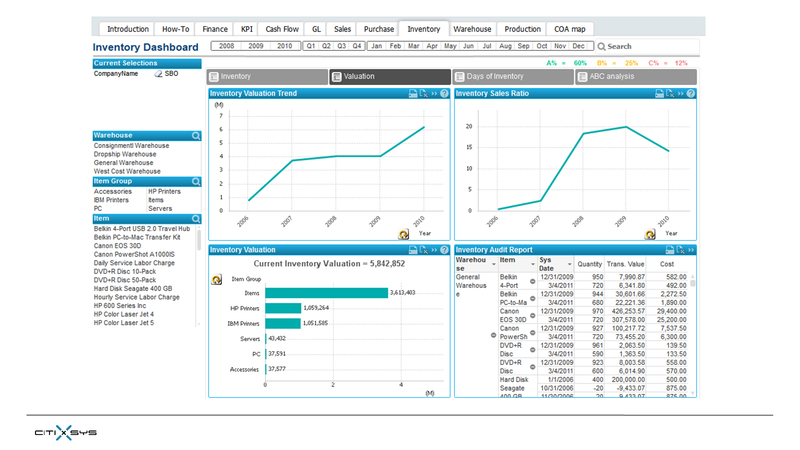 iView dashboards and reports can be viewed on mobile devices such as iPad/iPhone or Android based mobile devices offering unprecedented freedom from the desktop with dynamic, interactive data analysis when and where you need it.